In a new study, scientists at the Beihang University School of Biological Science and Medical Engineering, led by Dr. Yubo Fan, have discovered that a non-chemical procedure known as Biphasic Electrical stimulation (BES), may be used as a strategy for preventing cell apoptosis in stem cell-based transplantation therapy. The article describing their research will be published in this August issue of Experimental Biology and Medicine. The researchers believe that their method may one day be used for the treatment of patients with spinal cord injuries (SCI). Stem cell transplantation is a potential clinical therapy for repair and regeneration of injured spinal cord, and brings new hope for SCI patients. However, the survival rate of transplanted cells is relatively low because the cells are particularly vulnerable to apoptosis in the spinal cord. Factors proposed for causing such low survival include immune reactions, limited trophic factors and hypoxia. It appears that a lack of adequate growth factors plays an important role in the survival of transplanted cells. "We've shown for the very first time that BES may provide insight into preventing growth factor deprivation-triggered apoptosis in olfactory bulb neural precursor cells (OB NPCs). "These findings suggest that BES may thus be used as a strategy to improve cell survival and prevent cell apoptosis in stem cell-based transplantation therapies. The results may guide future efforts to restore functions lost after spinal cord injury." said Yubo Fan, professor of Biological Science and Medical Engineering at Beihang and senior author. The team of researchers investigated the protective effects of BES on growth factor-deprived apoptosis in OB NPCs. The NPCs were exposed to 12 h of BES. The results were that BES enhanced cell survival and prevented the apoptosis of NPCs caused by growth factor deprivation. The anti-apoptotic effect of BES was dependent on the activation of the PI3K/Akt signaling cascade and an increase in brain-derived neurotrophic factor (BDNF) production. "What was especially surprising and exciting was that a non-chemical procedure can prevent apoptosis in stem cells therapy for spinal cord injury patients. How BES precisely regulates the survival of exogenous stem cells is still unknown, but will be an extremely novel area of research on spinal cord injury in the future," Fan said. " Dr. Fan added. Dr. Steven R. Goodman, Editor-in-Chief of Experimental Biology and Medicine, said "The fact that Biphasic Electrical Stimulation can improve the survival of neural precursor cells is truly exciting and will provide the basis for future studies that could lead to novel therapies for patients with spinal cord injury. I look forward to future advances in this field." 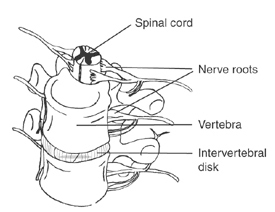 A spinal cord injury (SCI) refers to any injury to the spinal cord that is caused by trauma instead of disease.. According to Spinal Cord Injury Facts & Statistics, 250,000 Americans are spinal cord injured patients. Approximately 52% of spinal cord injured individuals are considered as paraplegic, and 47% patients are quadriplegic. In addition, 11,000 new injuries occur each year, and 82% are male.